When your garage door springs work well, you probably don’t take the time to appreciate what a clever invention they are. Without needing an external source of power, they store and release energy to help you effortlessly open and close doors that probably weigh at least as much as you do — if not several times more. At the same time, even high-quality springs may fail if they haven’t been maintained or replaced periodically. You can save yourself a lot of trouble by proactively learning how to open a garage door with a broken spring — and how to avoid broken springs in the first place. You won’t need to ask how to open a garage door with a broken spring if you stay on top of maintenance, repairs, and replacements. Our family-owned business, DIY Garage Door Parts, supplies American-made garage door springs, parts, and supplies to customers all around the country. To help you keep one of the most vital and frequently used moving parts of your home functioning well, we also offer a video library of DIY tutorials and friendly customer service. When critical parts of garage doors fail to function well, you will have an urgent problem if your car is stuck inside or you’re locked outside. In the worst cases, broken garage door springs can also cause an immediate safety or security problem. The heavy doors could fall. In other cases, you won’t be able to secure your garage. That’s why you should plan ahead to keep your springs from malfunctioning and to learn about safely opening a garage door with a broken spring. How Do You Know Garage Door Springs Have Broken? 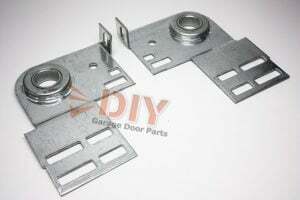 Opening and closing your garage door actually relies upon several different parts that work together. 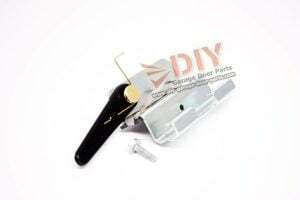 First, you need to make sure that your trouble comes from broken springs and not problems with the tracks, cables, automatic openers, or other parts. 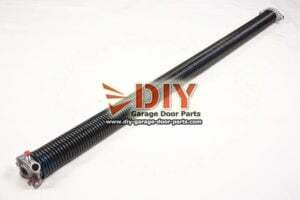 Before you ask how to open a garage door with broken springs, you should make certain that your springs have broken. Your door refuses to open: Some garage doors have a safety feature that will stop them from opening more than a few inches if springs have broken. If you don’t have that safety feature, the door may still feel too heavy to open. If you try pulling the emergency cord, that won’t open the garage door either. Loud noises: Garage door springs are under considerable tension. They might make a crashing sound when they break and release this tension. Visible gaps: If you see any visible gaps in your torsion springs, that’s a clear sign it has broken. In some cases, only one spring has broken, and a second spring will support the door’s weight for awhile. You still need an immediate repair because the door was designed and balanced for multiple springs. 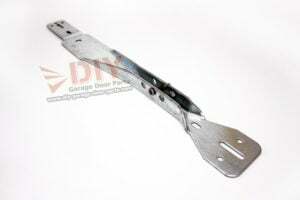 The garage door falls fast: Garage door springs also help doors close smoothly, so if the door falls too quickly, you probably have a broken spring.. The garage door looks bent or crooked: Again, you may have only one broken spring and the other spring is only holding up its half of the door. 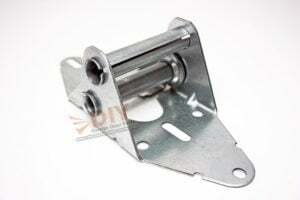 If the door appears out of balance, bent, or crooked, you may have a broken garage door spring. 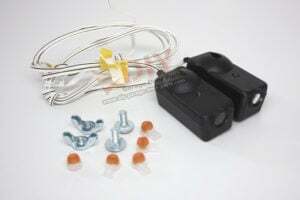 Cables or pulleys hang down from the walls or ceiling: Once the spring breaks, other parts of your system are likely to become loose or disconnected. What if Only One Garage Door Spring Has Broken? Should you be opening your garage door with only one broken spring? Some garage doors operate off of only one spring, but many doors use two. Very large and heavy garage doors may even have two springs on each side. Even though the working springs may support the weight of the door at the moment, you should not continue to operate the door with broken parts because the other springs are sure to fail soon because they are also probably aging and have to bear more of a load than they were designed for. Also, you should replace all of your garage door springs even if only one spring has already failed. New springs will apply more tension, so you’ll have trouble getting your door to balance correctly. Also, one spring’s failure is a sure sign that all of your springs are aging and bound to fail soon. In the long run, it’s a much more frugal decision to simply replace all the springs at one time. Are there safe ways to open garage doors with broken springs? 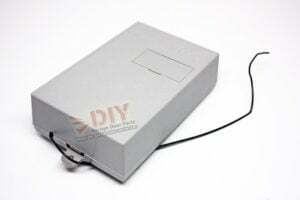 In the best cases, you will get your garage door repaired before you plan to open or close it. 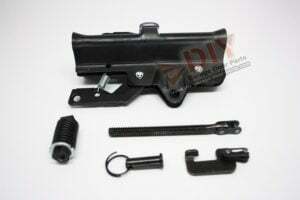 In some cases, you may urgently need to get your car outside or access the garage. At the same time, you should exercise caution before opening garage doors with broken springs. Remember that the garage door is much more expensive than the springs, so you will be prudent to simply invest in repairs that will preserve the door. Also, garage doors can weigh from 130 to over 300 pounds. Unless you know how to handle that load, you’re taking a serious safety risk. If you can’t repair your garage door right away, you might be wise to call for a taxi or Uber for urgent appointments until you can get repairs made. Do You Still Need to Learn About Opening a Garage Door With a Broken Spring? If you have an urgent need to know how to open a garage door with a broken spring, you might review a few different situations. 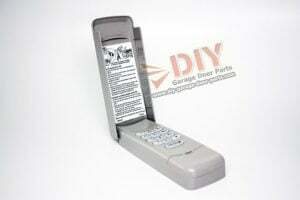 Before getting started, it’s best to disconnect your automatic garage door opener. In this situation, it’s best to get the garage door springs repaired before worrying about opening the garage door with broken springs. If you have three or four sturdy men to help, then you might be able to force the door open while one person makes sure the cables and doors stay in alignment. Some people have tried using sturdy ladders or crowbars to prop up the door. You will face several risks, including having the door fall and injure somebody, the door getting broken, or damaging your car or other property. 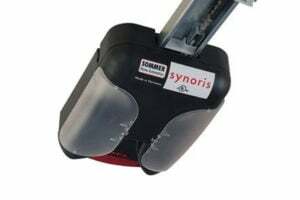 If you have a three-hundred-pound garage door with one spring still working, you and your helpers might still need to bear the load of at least 150 pounds. You might attempt to open the door if cables are still attached and the door still tracks properly. Even the lightest garage doors will probably weight at least 100 pounds. Even if you are very strong and can lift 100 pounds, you should still have a buddy to make sure that the cords are not tangled and the door stays on the tracks. Insulated garage doors will weigh more than uninsulated doors, so you should probably treat a one-car garage door with insulation as if it were a two-car garage door. Is Opening a Garage Door With a Broken Spring a Good Idea? In the vast majority of cases, it’s safer to get repairs done before opening a garage door with a broken spring. The weight of the door and the tension of the springs make this task quite hazardous. Besides the risk of injuries, you also risk damaging your door and other property. 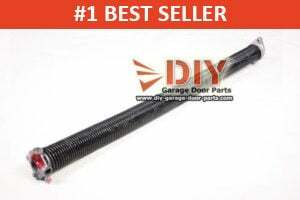 High-quality garage door springs are not that expensive. If the door has multiple springs and everything else still appears functional, you might rely upon the working springs in case of an emergency, but you still may risk having a second aging spring break. Opening a garage door with a broken spring is seldom an ideal course of action. 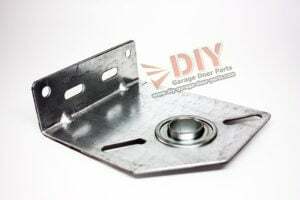 If you want to save money, you can learn how to perform garage door repairs yourself. Even if you need to call a professional, you can still buy your parts to save money and ensure high quality. Of course, it’s always better to proactively keep your garage door springs and other parts well maintained in the first place. That way, you won’t have to figure out if opening garage doors with a broken springs is a safe or practical thing to do. To help you rely upon your own garage door springs longer and to avoid emergency repairs, consider these common reasons why garage door springs break in the first place. 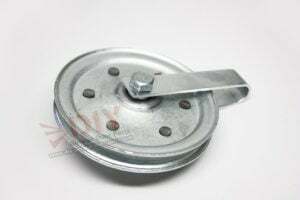 Rust: Even though our oil-tempered springs come protected against rust, any metal will rust in time. To prolong the useful life of your springs, spray them with garage door lubricants periodically. Don’t use WD-40 or other lubricants that aren’t specifically formulated for this purpose. Common lubricants can build up on the springs, attract contamination, or even cause slippage. Out-of-balance doors: About once a year, you should check to make sure that your garage door remains properly balanced. Test your door’s balance by lifting the door up about halfway. If the door remains in place, the springs passed this test. If it falls a little, particularly to one side, you probably need to replace your springs. Old springs: All of our springs are warrantied for at least four years; and you can upgrade your purchase of torsion springs to buy superior products with an eight-year warranty. If you did not buy high-quality springs in the first place or use your door several times each day, your springs may simply be worn from use. Dirty and unlubricated springs: Your garage door springs may pick up dirt and other contamination from the outside or inside of your garage. Before you lubricate, you can clean off visible dirt with a damp rag. Then you can spray them with a garage door lubricant. At the minimum, attend to this housekeeping chore at least twice a year, but do it more often if you think your springs have been subjected to dirtier or more extreme conditions. 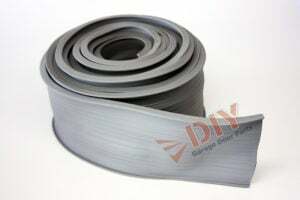 Cheap springs: Everybody likes to save money; however the inconvenience of having an urgent problem with your garage doors is rarely worth saving a couple of dollars on high-quality garage door springs in the first place. We offer durable, made-in-the-USA springs with a secure warranty. Environmental conditions: Freezing garage temperatures can cause the metal to shrink slightly, and it will expand as the weather warms up. Over time, this cycle weakens springs, and they do tend to break more often in cold weather. Also, very humid conditions will encourage rust. 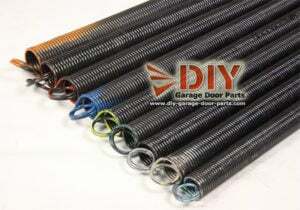 Insulated garage doors and proper lubrication can help protect garage door springs and other parts. In a perfect world, you might keep track of the age of your springs and always simply replace them on schedule. A garage door cycle refers to the act of closing and opening the door. 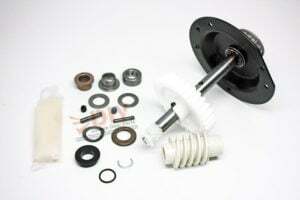 If your garage door spring was rated for 10,000 cycles, and you open and close your garage door an average of four times a day, you might expert the springs to last over six years under ideal conditions. Ideal conditions mean that you attend to maintenance and your garage isn’t exposed to extreme weather. There’s no one way to set a perfect replacement schedule for garage doors. Since most homeowners truly do not remember or never knew how old their garage door springs are, it’s probably more reliable to look for some common signs that garage doors may fail soon. The Door is Out of Balance or hard to use: Before your spring breaks, it will probably start to lose some of its strength and tension. Check to make sure both sides of your door appear level. Also, notice when the door seems harder to open or close than it use to. You see visible corrosion: If you can see that the springs are corroded, you know that they’ve lost a lot of their initial strength. Of course, the metal in springs has to be strong and pliable, but rust will make your garage door springs weak and brittle. Noisy door operation: In some cases, noisy garage door springs may simply need lubrication. Also, other parts of the garage door may cause the noise. 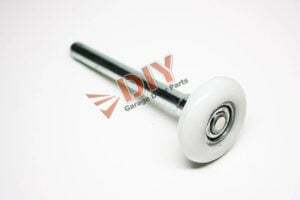 In some cases, you might need to tighten the hardware or replace the garage door rollers. At the same time, sudden, excessive noise can signal a problem with garage door springs. It’s so much safer and more convenient to avoid having to ask how to open a garage door with a broken spring. We ship oil-tempered springs anywhere in the United States from our North Carolina location. 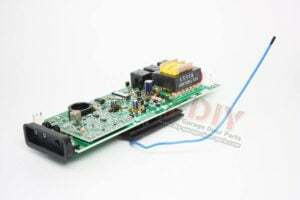 Typically, we handle orders the same or next business day. 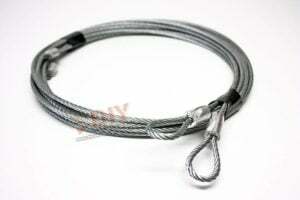 You can shop for garage door torsion and extension springs online. If you don’t know how to replace your garage door springs, you can also watch our DIY videos on ordering and replacing springs. As a family-owned business, we would rather help people avoid having to ask how to open a garage door with a broken spring. 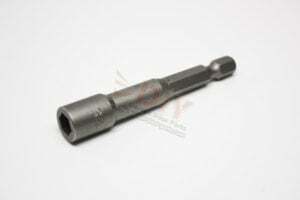 We only distribute made-in-the-USA products and can even manufacture custom parts. If you have any questions, we’re here to help you. Get in touch with us via the information on our contact page.